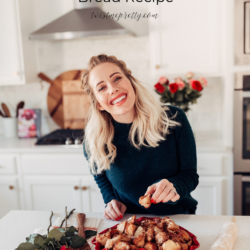 This recipe is so quick, easy and yummy that you are going to want to share this with all your friends. 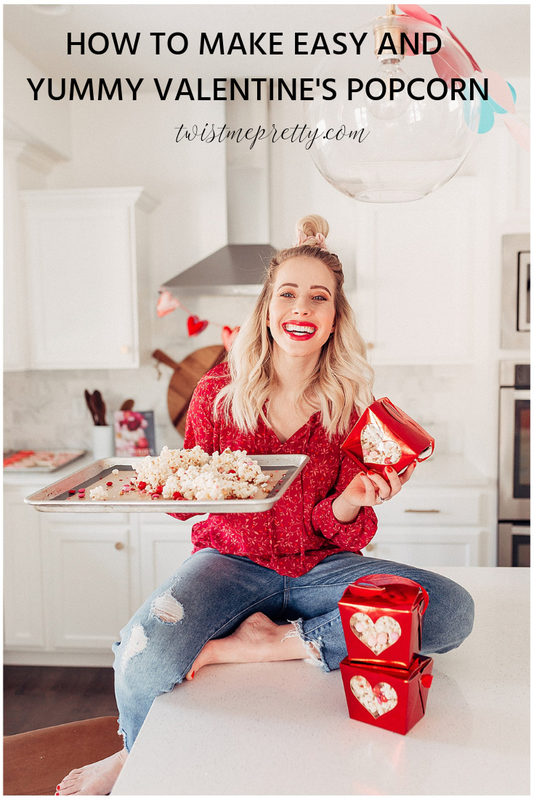 So, you ready? 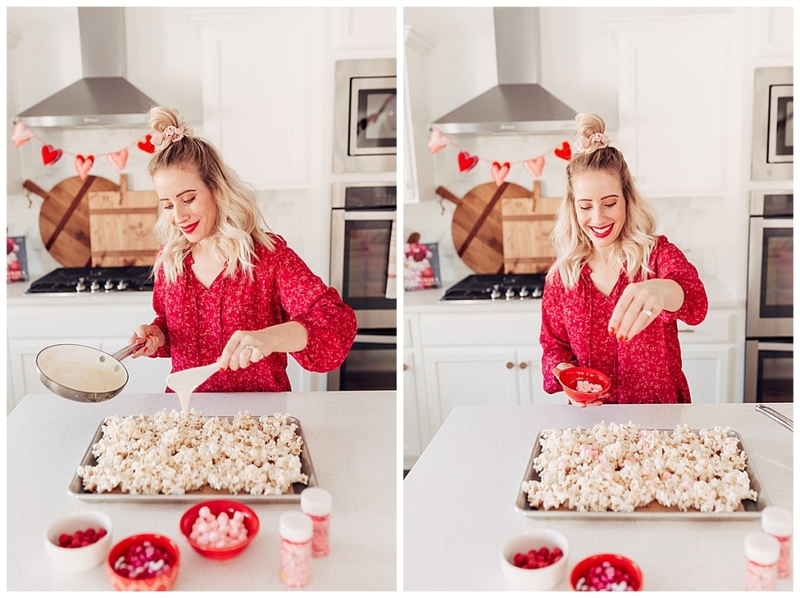 Let’s get to this how to make Valentine’s Popcorn. 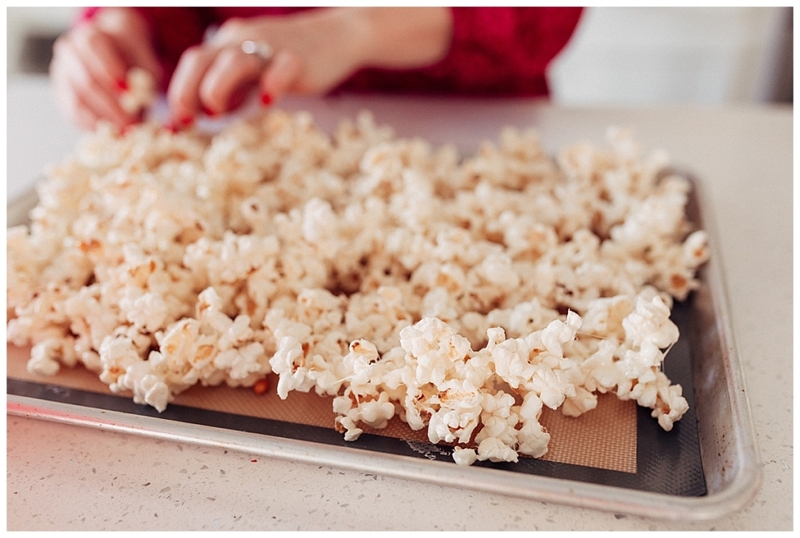 Whether you pop your popcorn on the stove, in a popper or in the microwave, get that corn popped! 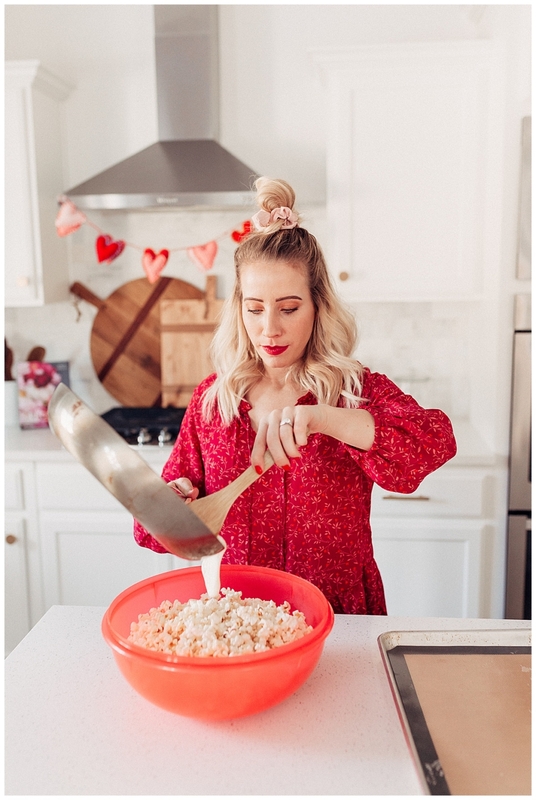 After you pop your popcorn, sprinkle with salt. Having the salt with the sweet is so so good. 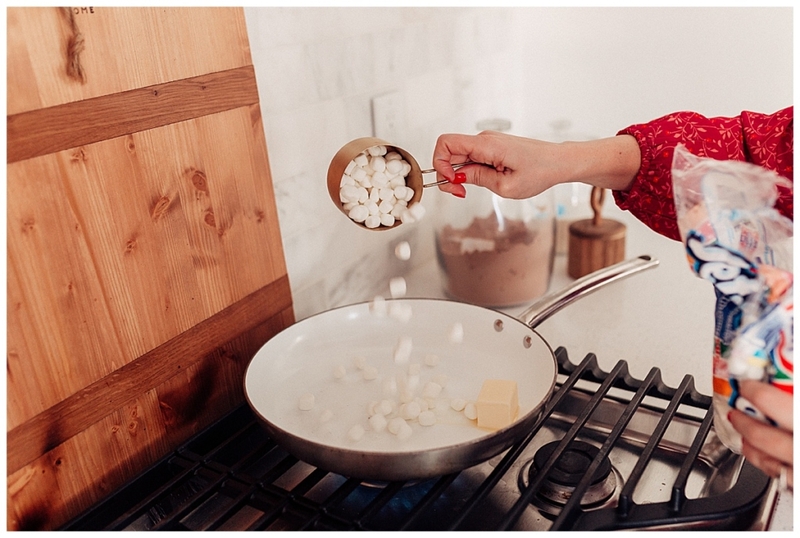 In a pan, melt the butter and then add the marshmallows. 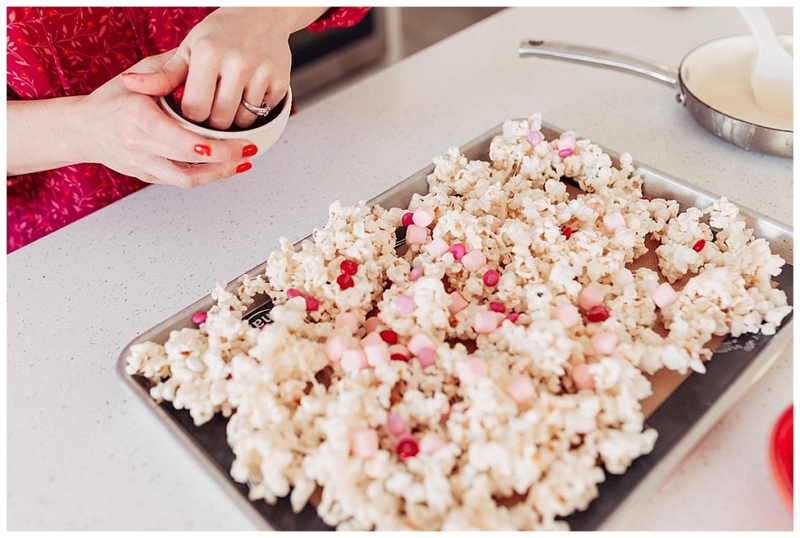 Stir until marshmallows are all the way melted. Once the marshmallows and butter are melted, pour 3/4 of the mixture over the popcorn and toss to coat the popcorn lightly. 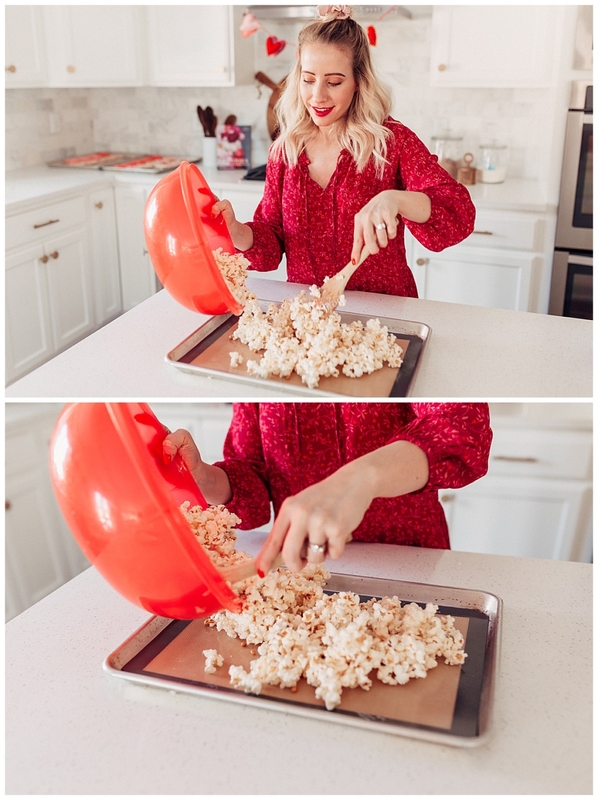 After tossing the marshmallow and popcorn mixture, pour out onto a cookie sheet lined with a silicone baking sheet so that it doesn’t stick. 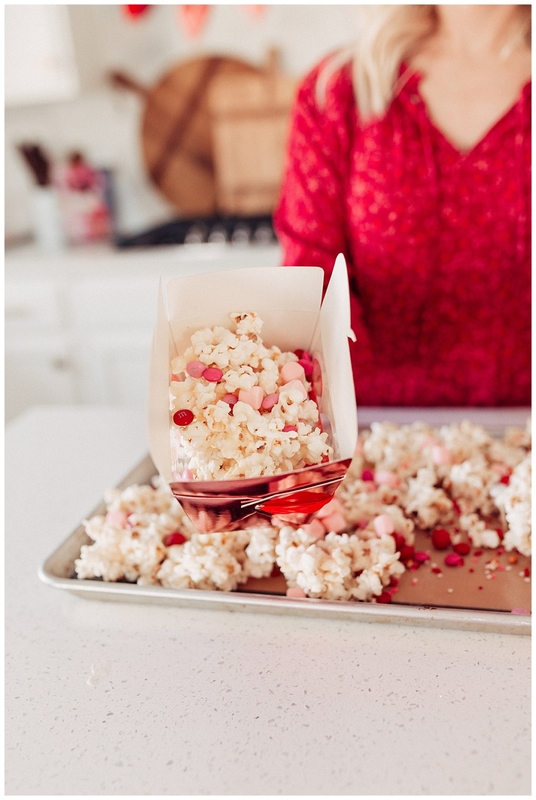 Drizzle the remaining marshmallow/butter mixture over the popcorn. Now it is time to decorate and add the candies. 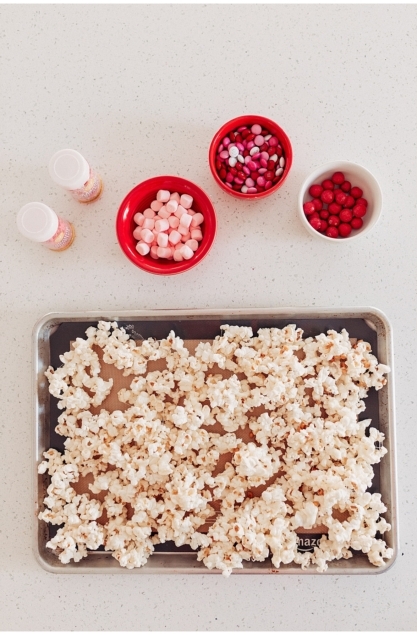 Sprinkle marshmallow popcorn with sprinkles, m&ms, and candy. 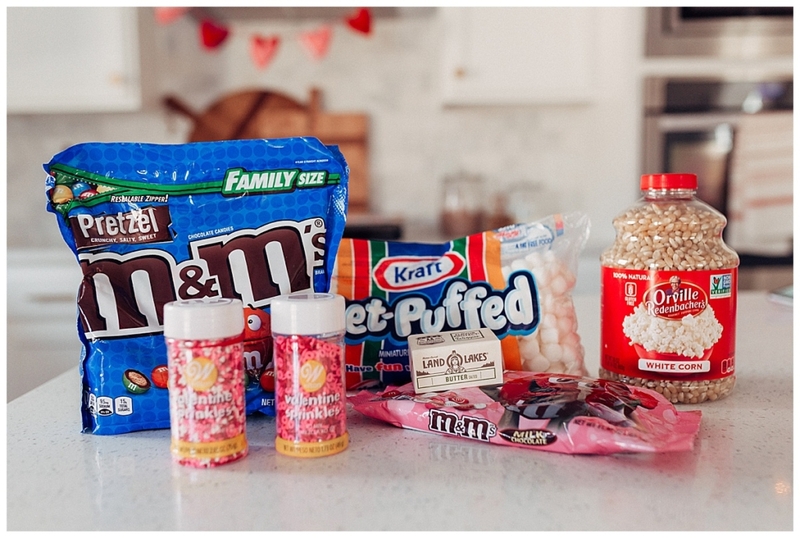 Don’t wait too long to add the candies. 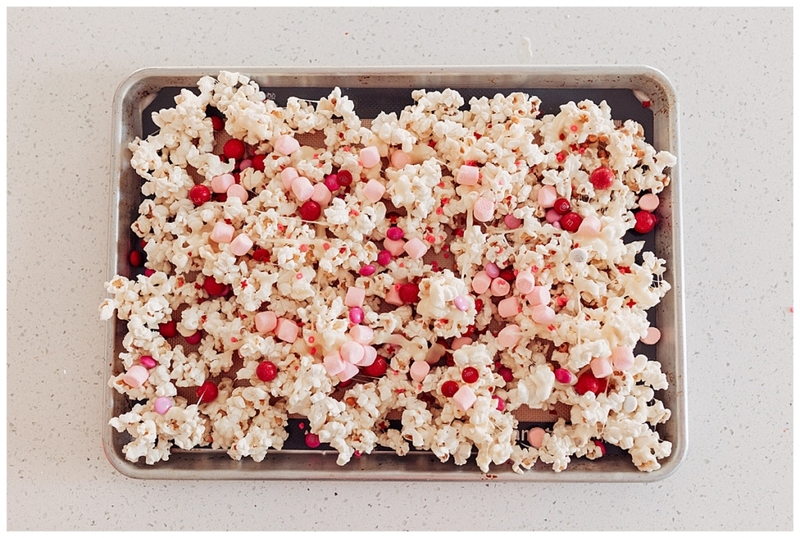 You want it to be warm so that it sticks to the popcorn. 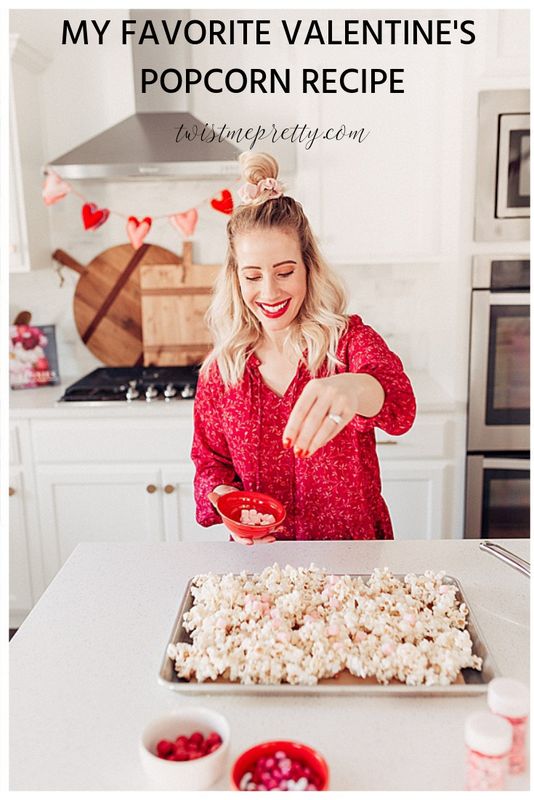 After it has cooled, with washed hands or with a wooden spoon, fill your boxes with popcorn (and steal a few–or a lot– of bites for yourself. 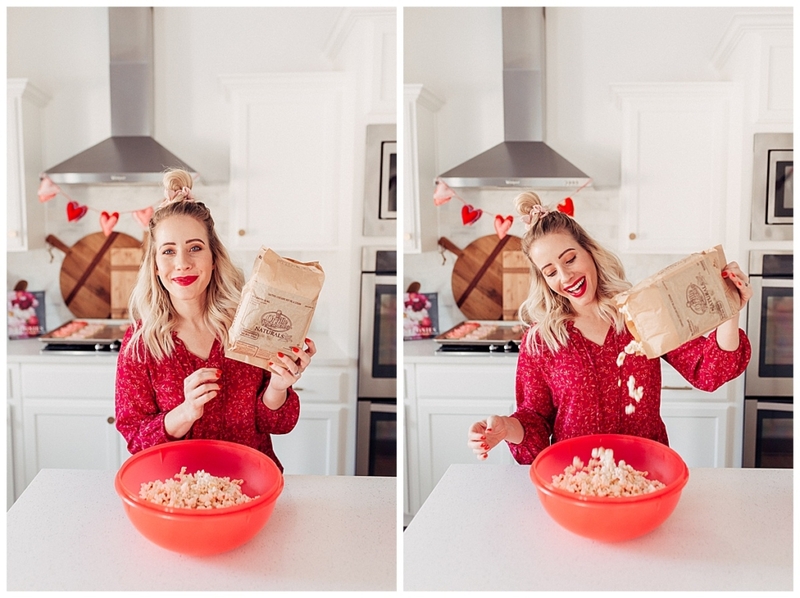 You better act quickly because I promise, this popcorn does not last long). 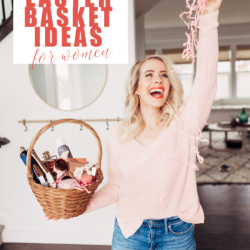 Alright, babes, what do you think? 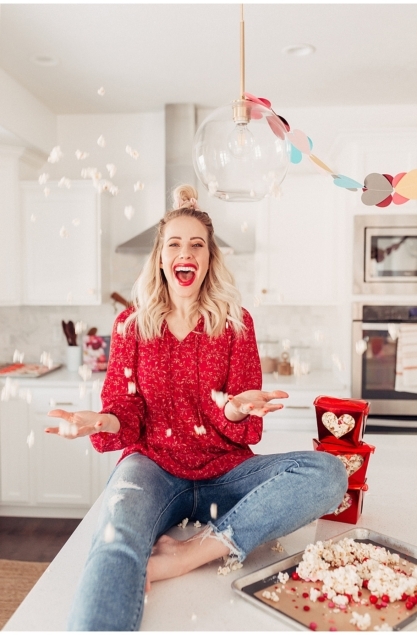 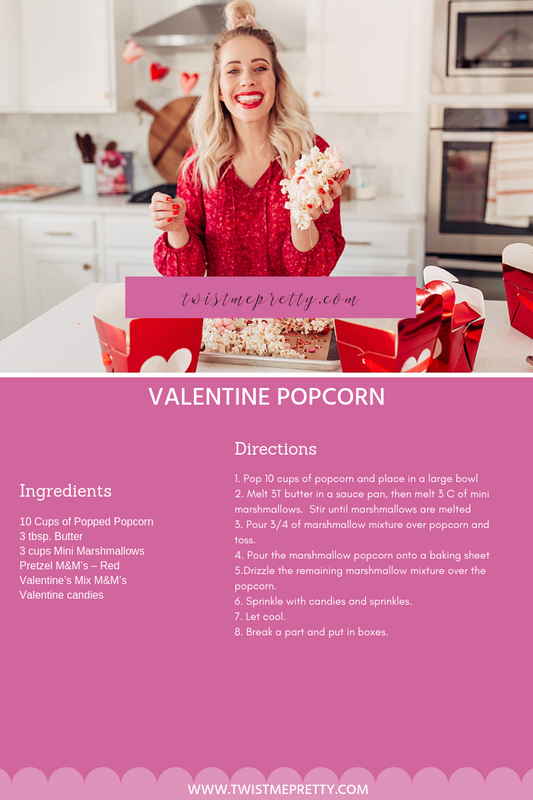 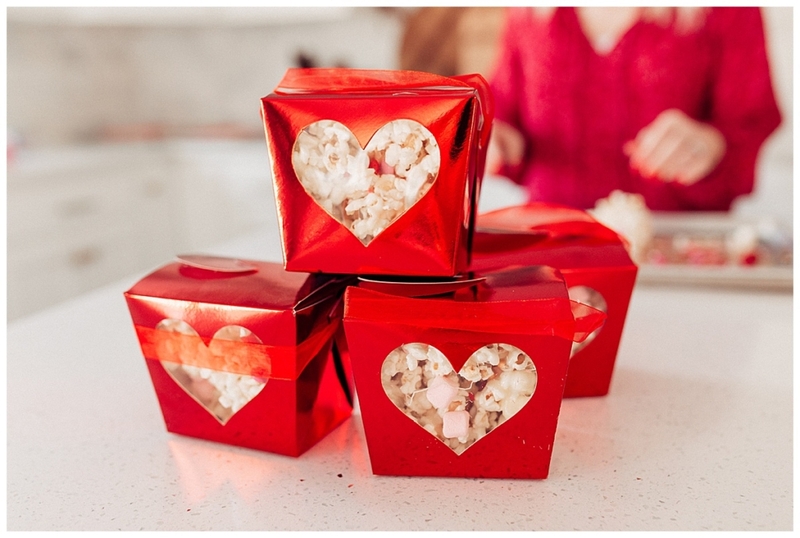 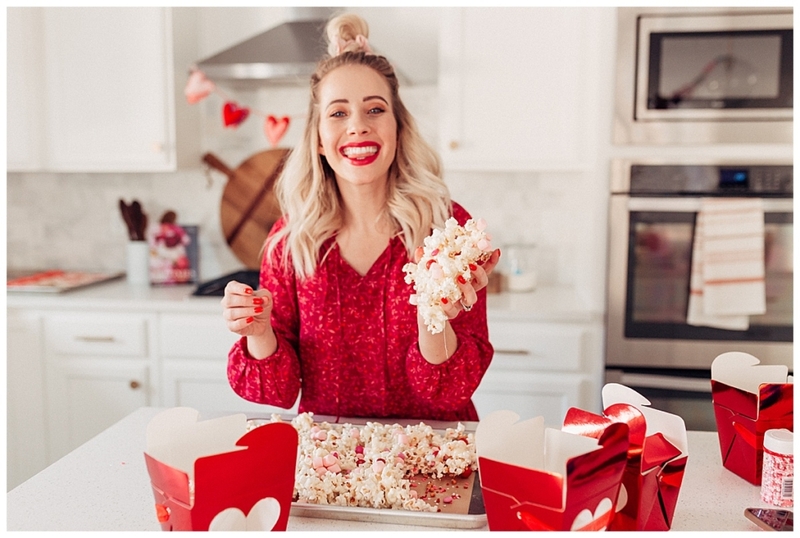 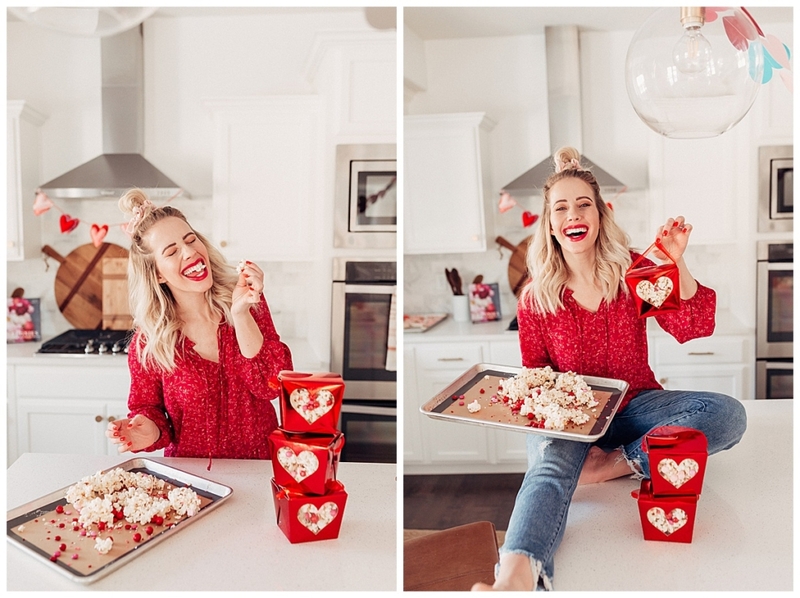 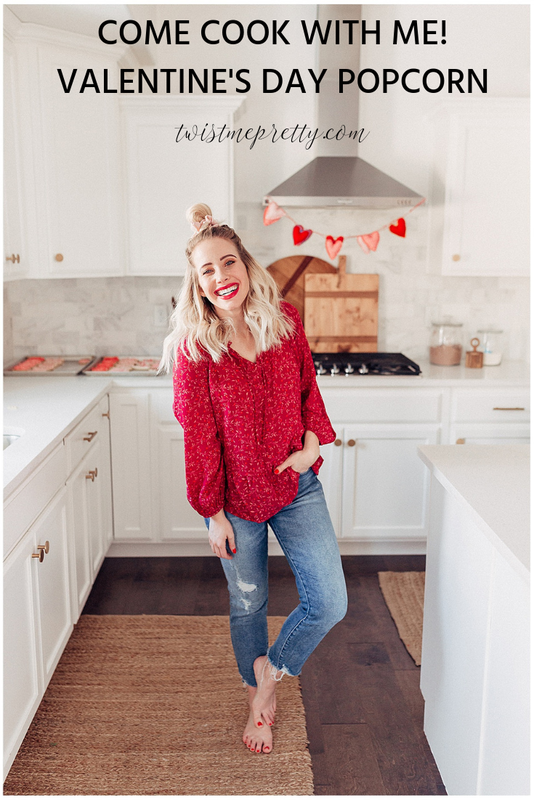 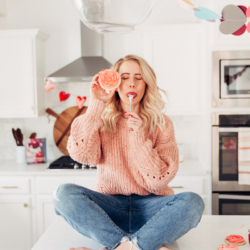 I can’t wait for you to try this easy Valentine’s popcorn recipe. You are for sure going to love it!